Minister of Defense of the Republic of Germany Ursula von der Leyen decorated defense attaché of the Republic of Serbia in that country Lieutenant Colonel Aleksandar Cera with the Silver Cross of Honor of Bundeswehr. 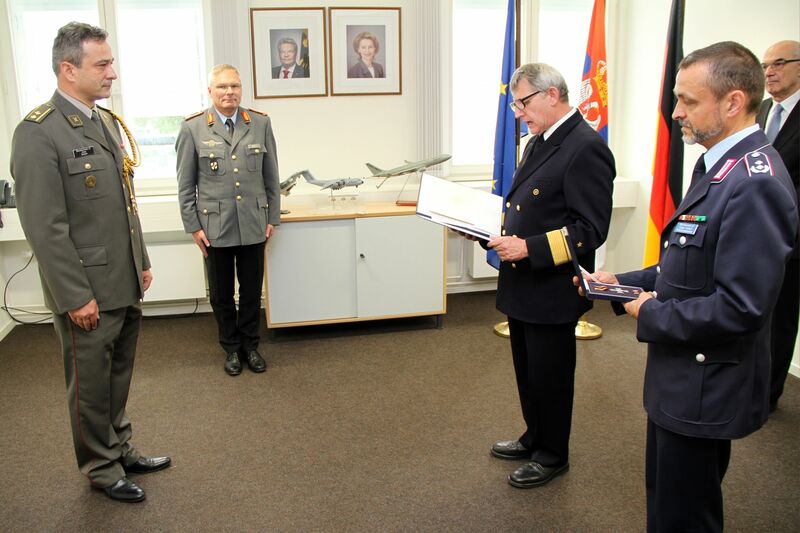 This is the first time Ministry of Defense of the Republic of Germany awarded a foreign defense attaché with the order of this level. 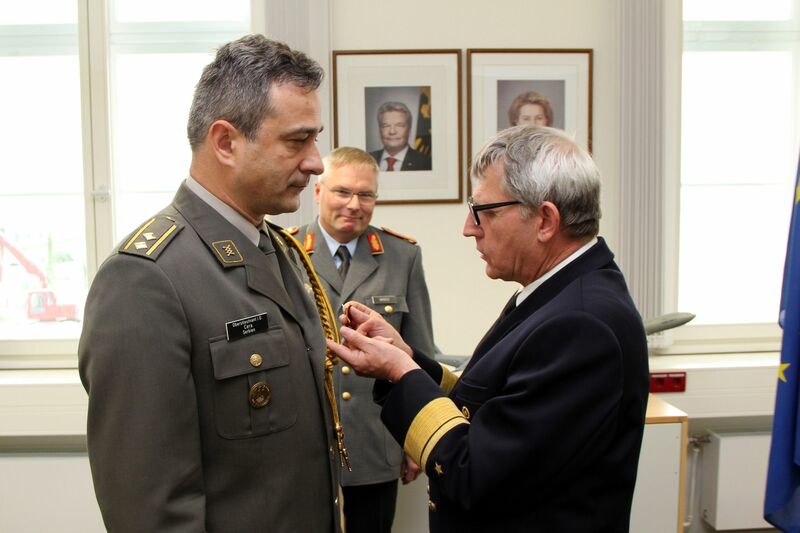 On July 13, 2016, on behalf of Minister of Defense, deputy director of the Strategy and Operations Directorate of Ministry of Defense, Rear Admiral Hans Christian Luter, awarded Lieutenant Colonel Cera. 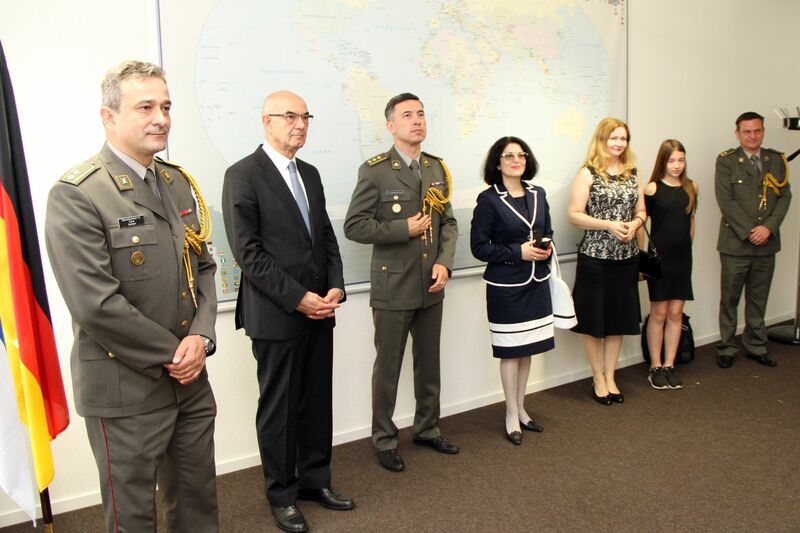 In the Letter of Honor, Minister of Defense emphasized that “as an exceptional ambassador of his country who serves as an example with his attitude and work, Lieutenant Colonel Cera in a special way contributed to the deepening of German-Serbian friendship. His outstanding engagement significantly helped Germany to understand the position it should take in its military and political relation towards Serbia”. 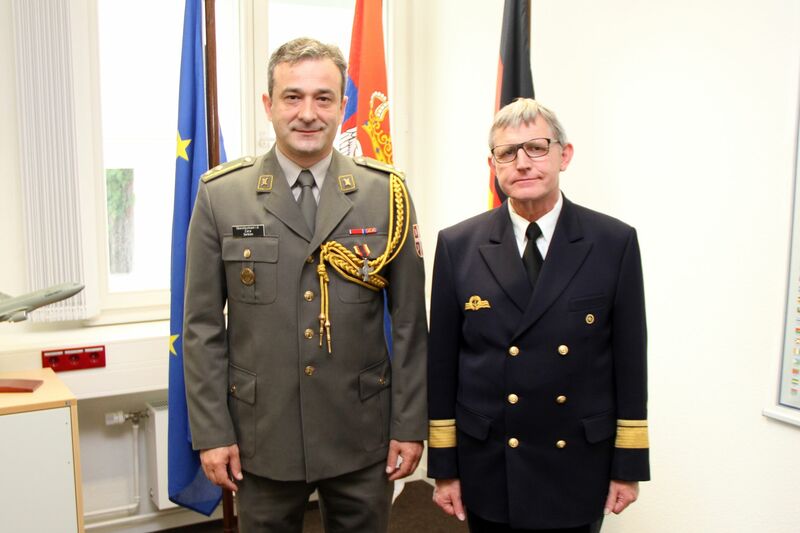 Ceremony held within the premises of the German Ministry of Defense was attended by the Chief of the Military Intelligence Department Brigadier General Jurgen Brotz, ambassador of the Republic of Serbia in Germany Dusan Crnogorcevic as well as newly appointed Serbian Defense Attaché in Germany Colonel Dejan Cimbaljevic. Lieutenant Colonel Cera was awarded upon recommendation of members of the Federal Parliament Defense Committee. He served as a Serbian Defense Attaché in Germany since July 2012.